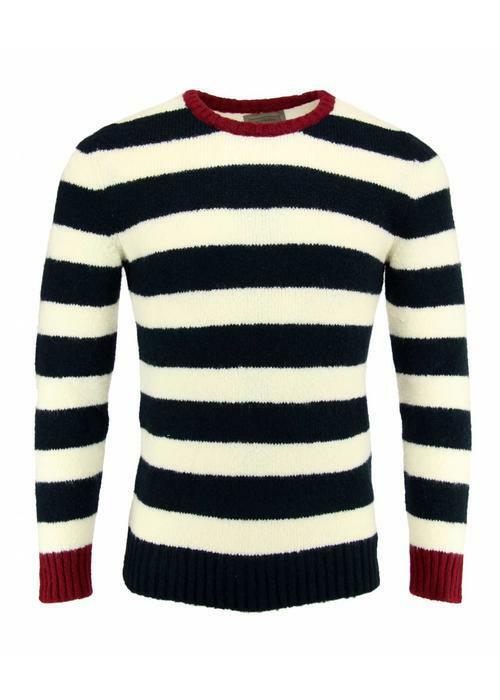 Retro men's sweater from the Italian brand Antagon. 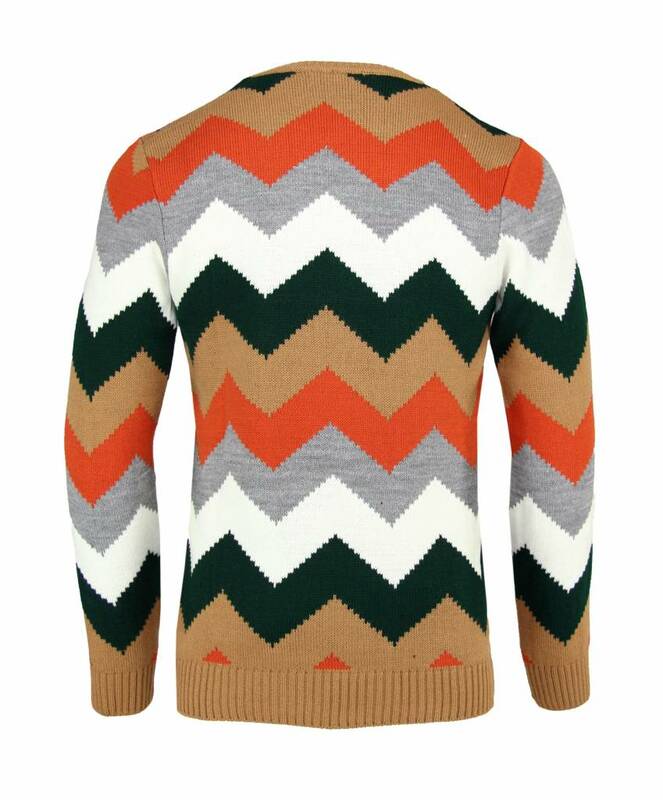 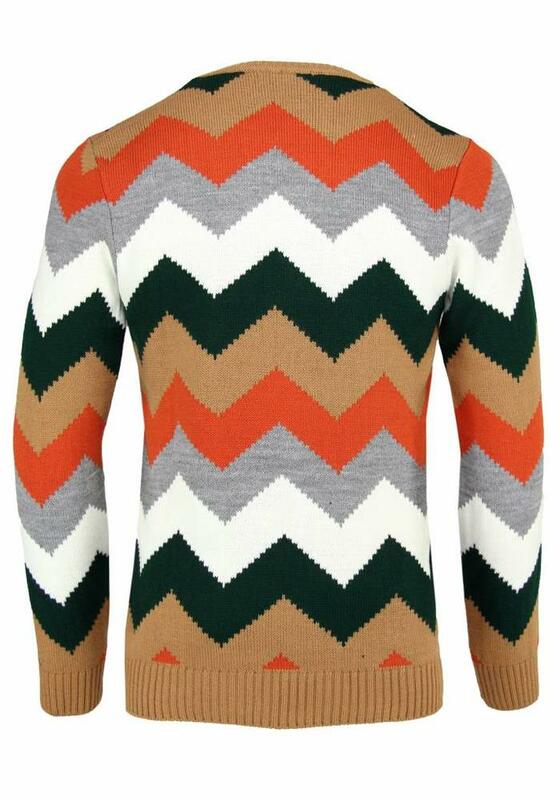 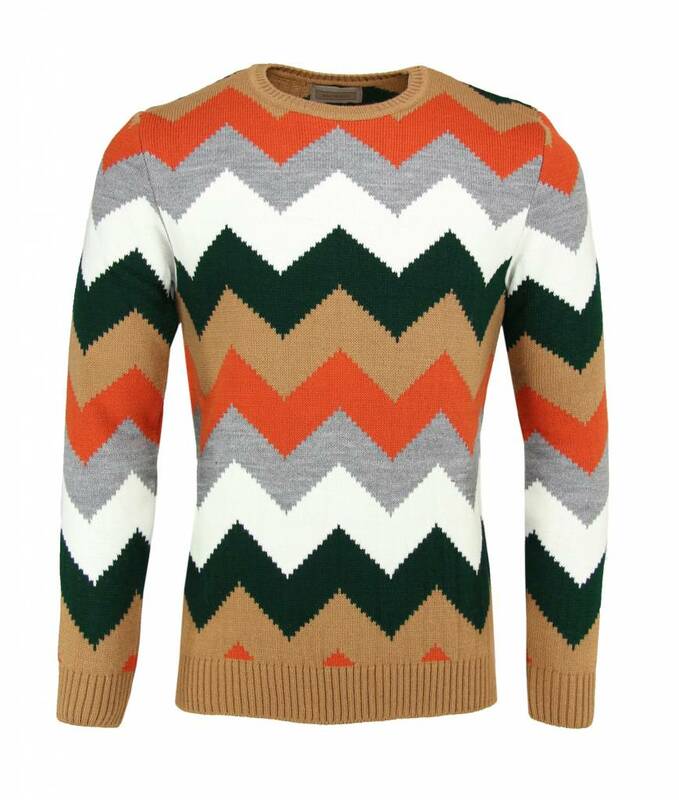 This knitted sweater has a real 70s vibe about it, with its zigzag pattern in the colors beige, orange, green, gray and white. 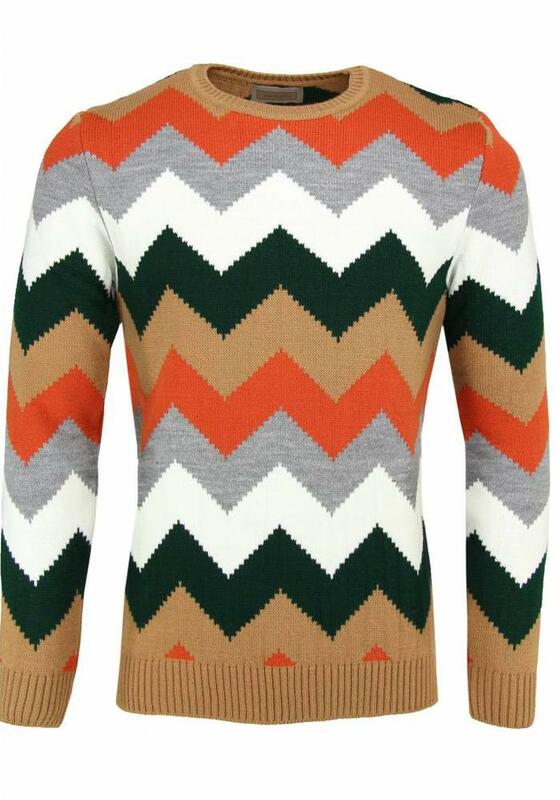 Combine this knitted sweater with a corduroy pants to complete the look. 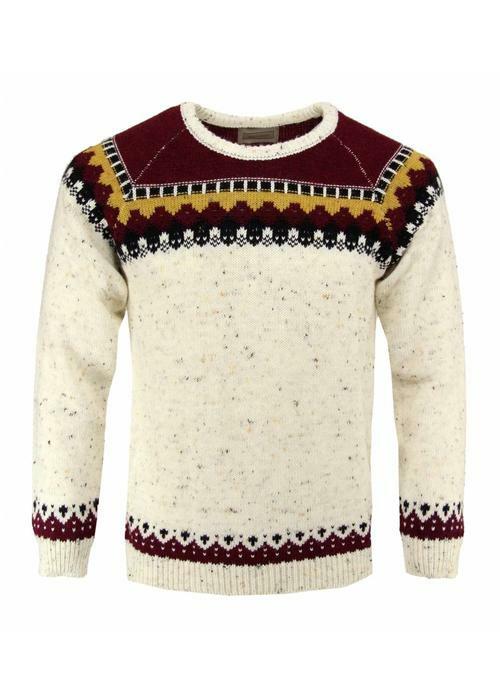 View the entire Antagon sweaters collection here.